With just over a week to the 3rd festival date a few of the Blocfest team headed up the M4 for a secret recon mission to Reading Climbing Centre. The aim was simple- meet the top dog, stash some volumes, and have a general scout about to check the angles. After a coffee and a chat it was clear the Reading event is going to be epic! 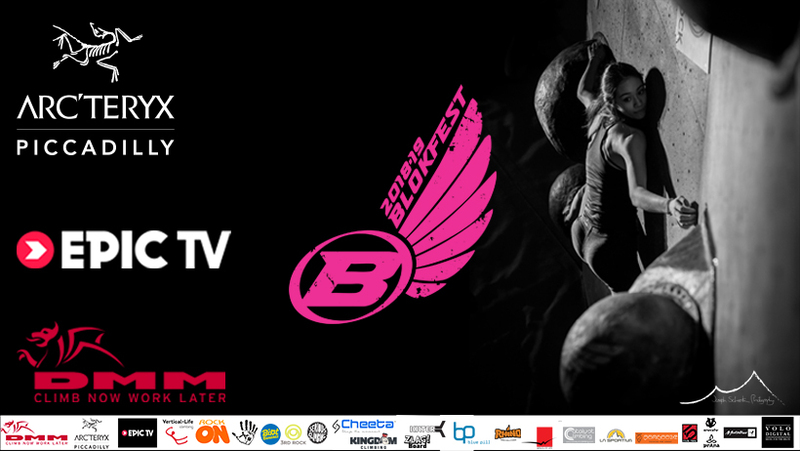 The team told us they will have the entire bouldering area stripped, so there will be only Blocfest problems set on the walls! This is a big effort from them and great to see everyone pulling out all the stops to make Blocfest as good as it possibly can be. Much appreciation to the Reading crew. After finding a spot for the DJ, sketching topos for finals and qualifiers, there wasnt much left to do but get involved with some blocs to get a feel for the walls. With a quick session in the bag, it was back down to London for a debrief with the rest of the crew. - The cafe is awesome so bring some extra pennies for the cakes, if you’re buying lunch maybe best get an order in early. - We are selling Climber Against Cancer t-shirts for £15 throughout the day to help the massive fundraise effort. Please help surport this cause.